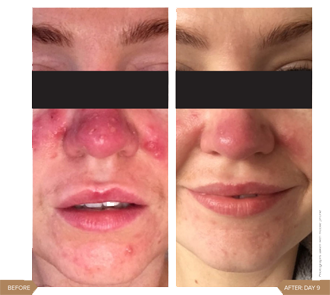 At JR Beauty Aesthetics CLINIC we offer A RANGE OF CHEMICAL PEELS That are bespoke and Tailor made to each individual skin concern and needs, to achieve optimum skin health. An in-depth consultation is carried out prior to treatment. Chemical skin peels can be used to improve the appearance and texture of your skin by removing its damaged outer layers and stimulating the regenerative process. A chemical skin peel may reduce the appearance of fine lines and wrinkles, acne scars, superficial blemishes and pigmentation problems. Leaving your skin looking younger and radiant. A chemical peel works by removing old, dead skin cells at the surface of the skin to promote new cell growth. Here at JR Beauty, we offer different levels of chemical peels. Superficial chemical peels and light-medium chemical peels our highly trained JR Beauty Aesthetics therapist will take you through which peel is right for you and your skin type. For optimum results we recommend home care products to prep your skin pre and post peel, home care is just as important as the treatment to achieve healthy skin. These are available to purchase in the clinic. Please see below details of JR Beauty Chemical Peel treatments or for further information and to book an initial consultation please contact the JR Beauty Aesthetics team. With all our Chemical Peels at JR Beauty, they are tailored per patient and are unique to each individual skin concern and needs. Superficial Peels are customised to address minor skin irregularities like discolouration, acne, surface scarring, fine lines, and sunspots. 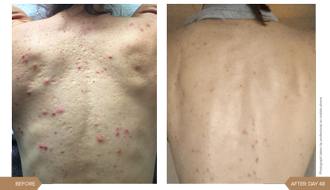 Superficial Peels is also used to prepare the skin for deeper peels or to enhance the efficacy of other more invasive procedures that treat severe conditions. Superficial Peels is safe and effective for all skin types and can be applied to the face, neck, and body. Though an in-depth consultation is carried out prior to any treatment. Light-medium chemical peels can be applied to the face, neck, and body and are highly effective in smoothing texture, improving superficial discolouration and mild photo-ageing, eliminating fine wrinkles, and enhancing the vitality of skin. Light-medium chemical peels are ideal for those who want more dramatic results than a Superficial Peel they may be performed safely on people with olive and light brown skin; as well as they may also be used on some dark brown skin tones, however, a full in-depth consultation is carried out prior to any treatment via our highly trained JR Beauty Aesthetics therapist. 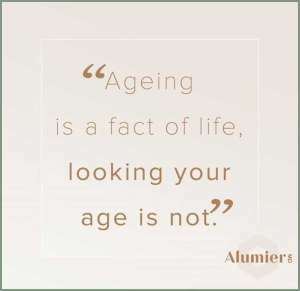 For optimum results JR Beauty recommend AlumierMD products to prep your skin pre and post peel, these products are available to purchase in the clinic ask Julie or Abbey for further details.